Well, this is fairly amazing. The silence makes this all the more powerful, for me. First up are Io and Europa passing over Jupiter’s Giant Red Spot (has anyone suggested using an ointment containing either salicylic acid or benzoyl peroxide? ), followed by Titan moving past Saturn’s rings, seen as a thin line, edge on. It’s all rather mesmerising. The latter, especially, has a really otherworldly feel to it. I mean, I am aware that these are bother very clearly other worlds, but I’m sure you get what I mean. Original link here (creative commons says help yourself – thanks, Kevin). The rest of his photostream looks equally impressive. 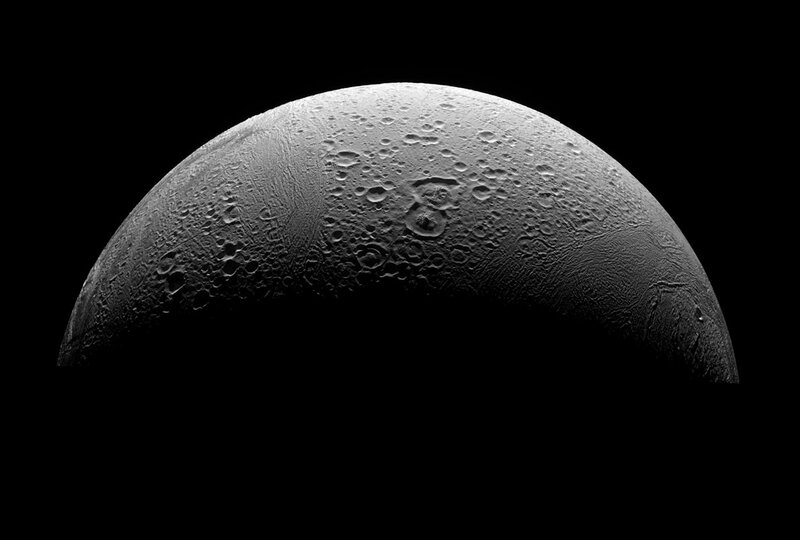 NASA’s Cassini probe has just done a very close fly-by of Saturn’s 6th largest moon, Enceladus. 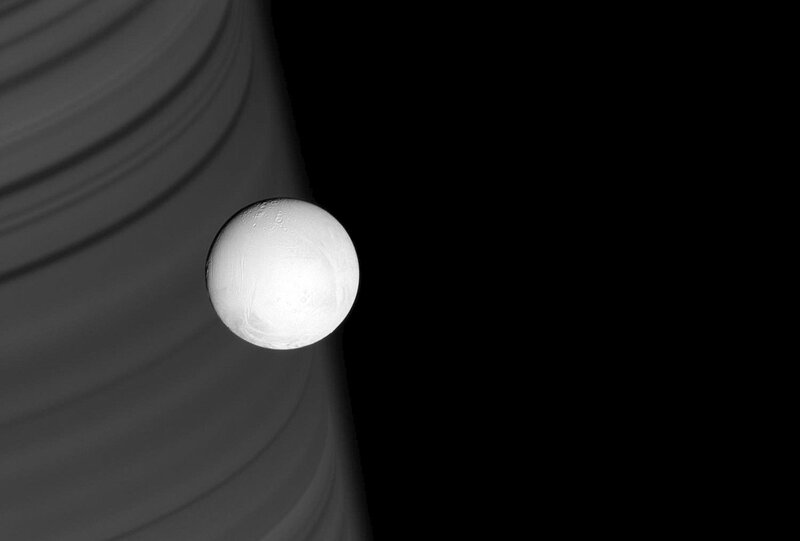 The results of that are yet to be released, but The Atlantic has an amazing photo set of some of the stuff Cassini has spotted on its way over to the 504km diameter “snowball” moon. There are some closer pics too, but they’re almost disappointing in comparison to the distant shots, with Saturn’s rings in the background. Still, go look at them all.